By now, I think we all know Morgan Matson as the queen of summer reads. Her last novels, Since You’ve Been Gone, Second Chance Summer, and Amy and Roger’s Epic Detour are all absolutely amazing. If you haven’t already picked all of them up, go to your local indie bookstore asap and do so. However, her newest novel is her best yet. It’s one of the only times you can absolutely judge a book by its (absolutely amazing) cover. The Unexpected Everything follows Andie, a disgraced politician’s daughter. She’s planning for her summer to sound something like this: finish junior year top of her class, excel at a summer course at Johns Hopkins, go back to school ready to get into an Ivy League. But when her acceptance to Johns Hopkins summer gets last minute rescinded, she has to do something a little more mundane- dog walking. She doesn’t even like dogs! The best part of Morgan Matson’s latest is the female friendships. YA is generally pretty lacking in stories solely about female friendships and this book has really helped to fill the void. Andie’s relationships with her girlfriends (Palmer, Brie, and Tobi) is so funny and dysfunctional, but also extremely realistic. And it’s not perfect- the girls fight about little things sometimes, but they always make up. 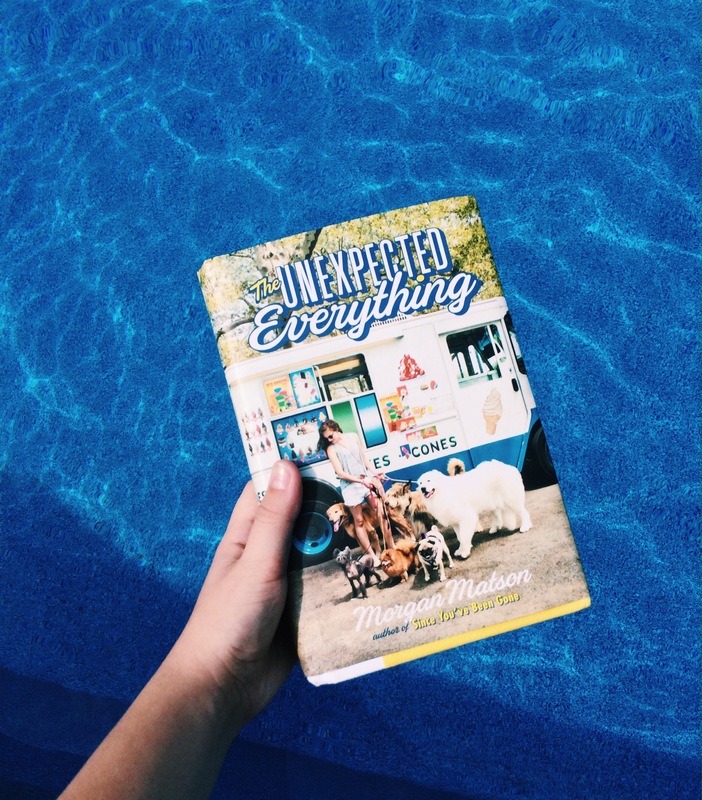 The Unexpected Everything is a novel written for sunny days at the beach. It’s fairly long too- so it’s perfect for when you can only pack so many books into you suitcase for vacation. Love your review! Always so beautifully written!